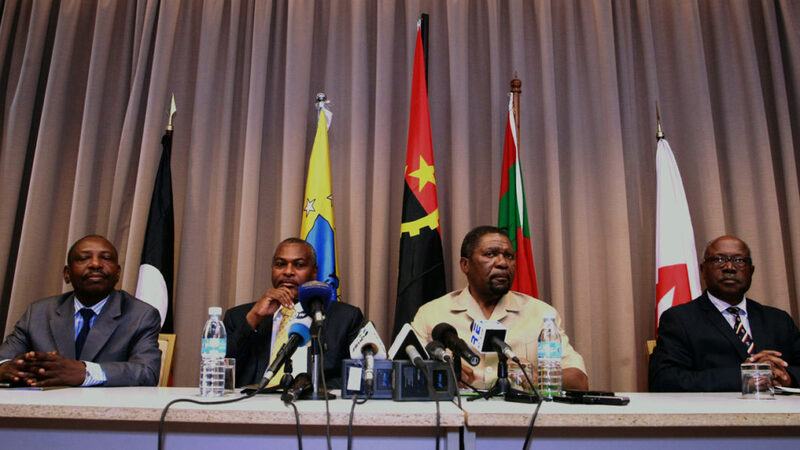 Four opposition parties in Angola on Sunday called for a recount in last month’s general election, alleging “irregularities” during the vote that kept the ruling party in power. The MPLA of outgoing President Jose Eduardo Dos Santos won just over 61 percent of the vote in the August 23 poll and an absolute majority with 150 of parliament’s 220 seats, according to a provisional count. statement to reporters saying the process to determine definitive results “was not conducted, in a large number of cases, in accordance with the law”. Besides “irregularities,” the coalition cited “the disappearance of ballot boxes, the appearance of new ballot boxes, the disappearance of voting forms” and “the illegal presence of foreign individuals”. But it also charged that the electoral process was “unconstitutional and illegal” and called for a recount in the provinces by a commission made up of figures from civil society and churches. The coalition warned it would contest the election through other means if its demands were not met. The day after the vote, UNITA deputy leader Rafael Massanga Savimbi said the party found “substantial differences” between its own tallies at voting stations and those of the electoral commission. Opposition leaders across Africa, long frustrated in their campaigns to topple firmly entrenched leaders, have been hailing the shock overturn of last month’s presidential vote in Kenya, calling it an example for their own countries to emulate. The MPLA, which has ruled since Angola’s independence from Portugal in 1975, had predicted it would win easily, but the result showed a fall in support from the last election in 2012.